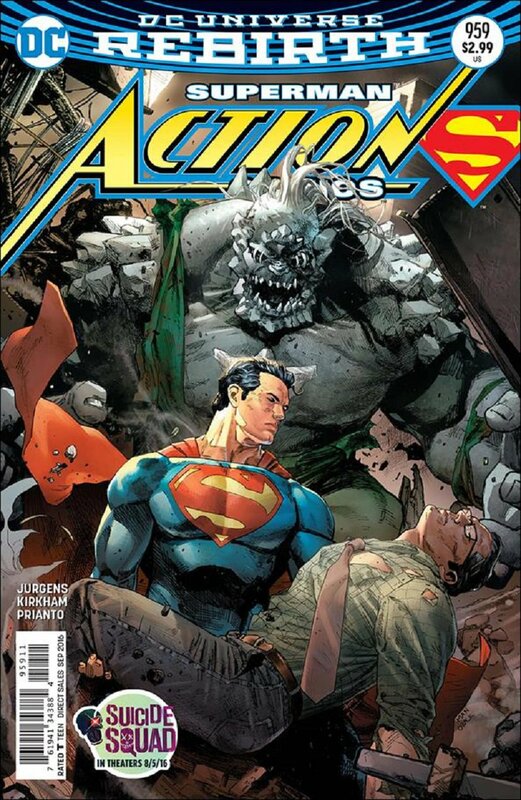 This is a listing for Action Comics #959  VF/NM DC Comics. “Path of Doom, Chapter Three"
Clark Kent gets caught in the crossfire as Doomsday crashes through the streets of Metropolis! As Lois struggles to keep young Jonathan out of the path of destruction, can former enemies Superman and Lex Luthor stop the monster that once destroyed the city and killed the Man of Steel—or does Luthor have other plans?